I am absolutely thrilled to bring you the very first handmade shop spotlight! I adore anything homemade and I pretty much live on Etsy. Working with my hands, creating, everyday is something I’m passionate about and these wonderful shops that I will be bringing to you are doing just that. Their products are one of a kind and made with handwork, love, and often in the wee hours of the night. 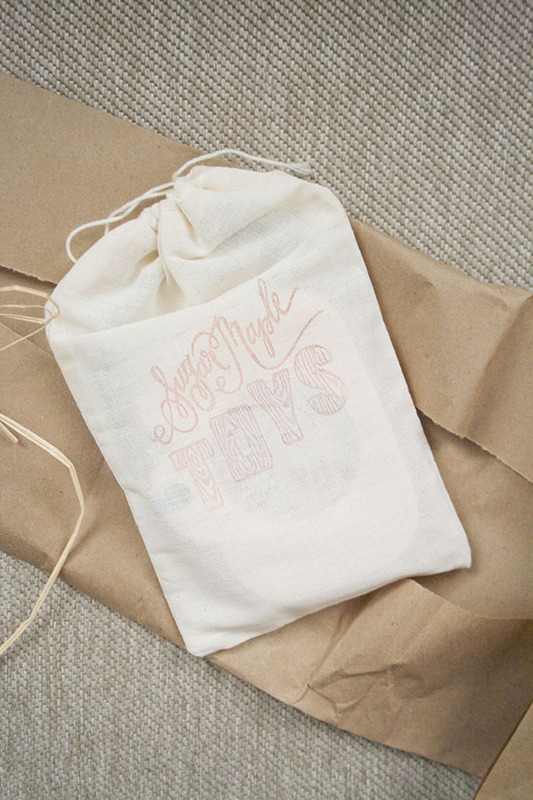 So without further ado, today I’ll be sharing with you a wonderful baby toy brand out of New York, Sugar Maple Toys. Right off the bat, I was smiling as I opened my package. 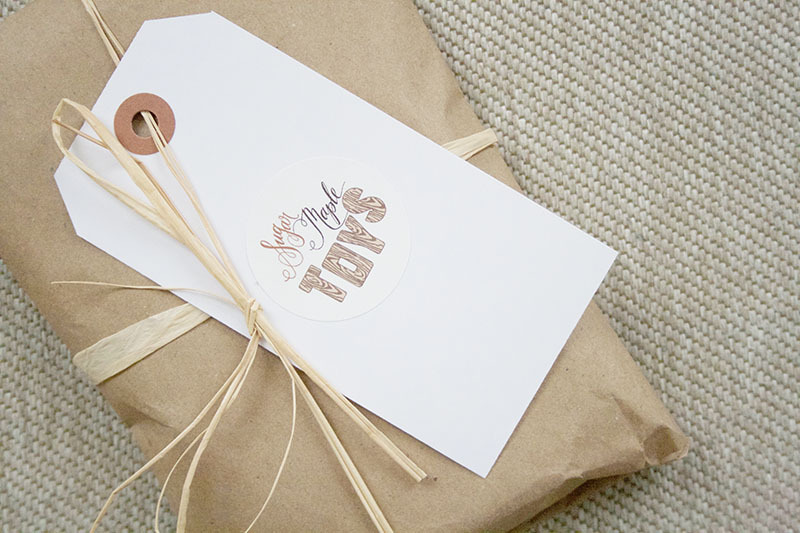 I’m a sucker for cute packaging and Sugar Maple Toys delivers! Such attention to detail really speaks to my handmade lovin’ heart. A wonderful feature of the teethers is that they all come with a braided vegan leather clip. I don’t know about you, but my Ro cannot keep anything in his hands for longer than five seconds. That’s probably because he’s only four months old, but even the older ones tend to throw things on a whim. It’s so nice to clip onto his shirt and not have to wonder where the heck it landed. Also, the craftsmanship is just impressive. 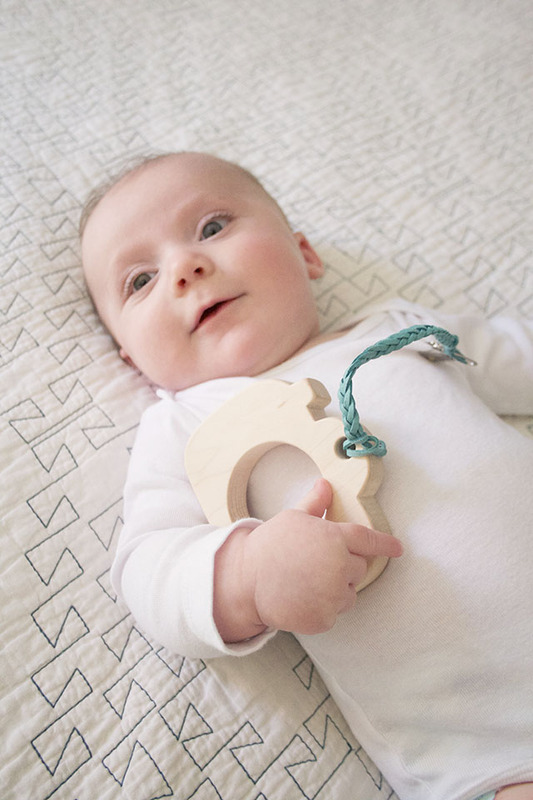 The super smooth wood provides a natural way for my baby to relieve his sore gums. And thank goodness, because he was really starting to chow down on his hands! Next, can we talk about the adorable design? As a photographer on the side, I just couldn’t pass up on this one! Regardless of which design you like though, each teether is designed in a way that really helps little ones get a good grip. Ro loves holding his camera teether and its the perfect size for his little hands. 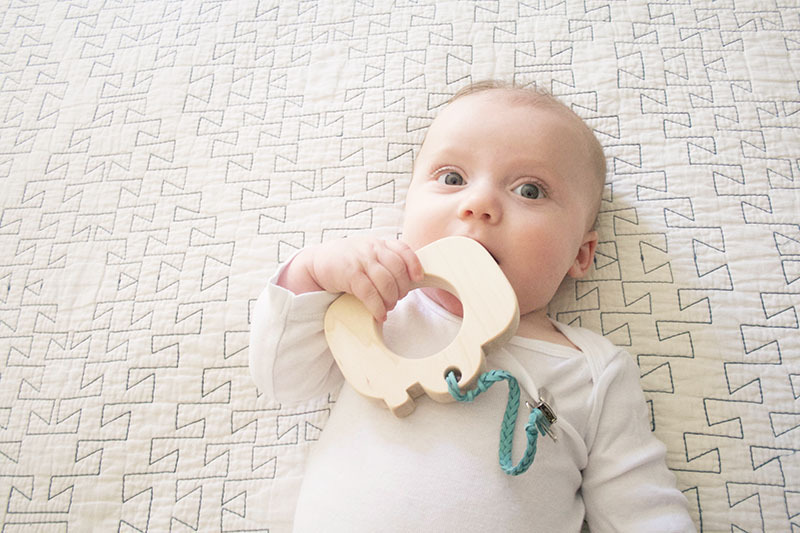 Another personal favorite from their shop is the drumstick teether! Here’s Tiffany with a little more insight into what Sugar Maple Toys is all about. Hi I’m Tiffany, a 33 year old wife and mom. I am also a pediatric occupational therapy assistant, but I have put that career on hold so I can stay home while my children are still little. The other half of the business is my husband Mike. He is 35 years old and works for the railroad. We met 9 years ago, fell in love, got married and had 2 beautiful boys Mikey and Tommy. This past December we bought our first home and are still trying to wrap our heads around the fact that we are homeowners now! Oh we also have 4 lovely hens: Lucy, Rose, Anna and Sara that are not only fantastic pets, but also give us some of the best eggs on the planet. Our business started as a crazy idea in 2008 after our first son was born, but it wasn’t until 2014 that we decided to finally go for it. 15 months later on July 4th we officially launched on Etsy and it has been non stop since then. All of our products are made one at a time in our home based shop. We wanted to give our customers a voice so we allow for wood customization on pretty much all products in the shop except teethers. I think this is a fun element that not a lot of other wooden toy shops offer, so it definitely helps us stand out. We also wanted most if not all components of the shop to be US based. All of our materials are all locally sourced and/or purchased right here in the US; we have spent countless hours making sure of that. We primarily work with three main hardwoods that do not splinter: maple (lightest in color), cherry (medium color), and walnut (darkest). Occasionally we will throw in some ethically sourced/repurposed exotic hardwoods to give our customers a little variety and exposure to different woods located around the globe. Our glue is used minimally; however, we have made sure that it is made in the US and also organic, eco-friendly, and non-toxic. We do not stain our wood with any harmful chemicals. In fact we make our own wood sealer using local beeswax and organic jojoba oil. Our teethers are sanded very smooth and never receive a finish. 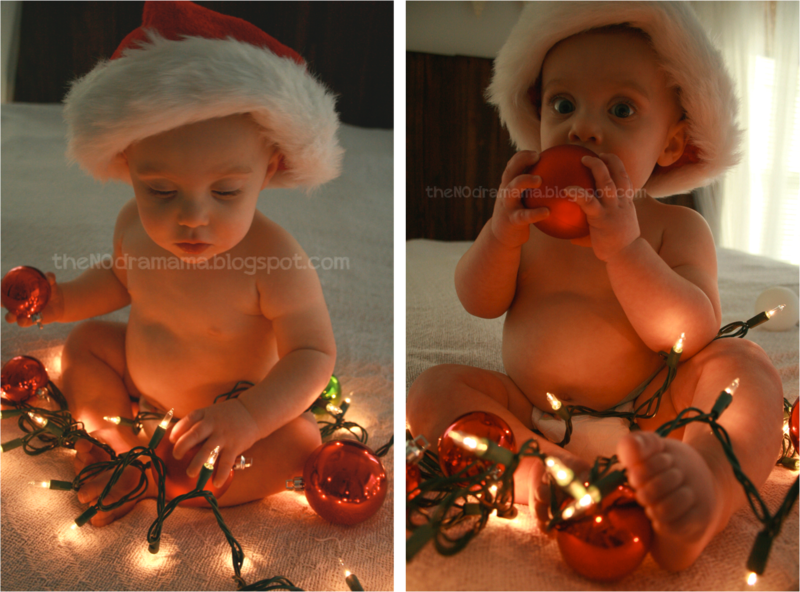 Since they spend a lot of time in babies mouth, we wanted to stick with a less is more approach. 3. What made you want to start a handmade shop? I think for us, we both love working with our hands. There is something really satisfying about making something yourself. I have been involved with the fiber world for sometime (knitting, crochet, spinning etc), but I always like to branch out and try new things. Mike likes to rebuild vintage campers. It is something that he has been passionate about for a few years now. He too loves to try new things and is always looking for a challenge. This is not our first handmade shop, but it is the most successful one by far. Being involved in something from start to finish and seeing others positive reaction to something we created, makes the both of us very happy that we decided on a handmade shop. 4. What do you love most about being a handmade shop? I love that we get to know our customers on a more personal basis. I love how they send us emails and photos of their children playing with our toys. They really let us in and give us a backstory to create our products. I love knowing that their children are loving their toys as much as we love making them. When we make our toys its not just a police badge, its a police badge because this little girls daddy just joined the force, or a grandmother on the west coast is sending her grandchildren in the midwest a heart rattle because she loves and misses them. 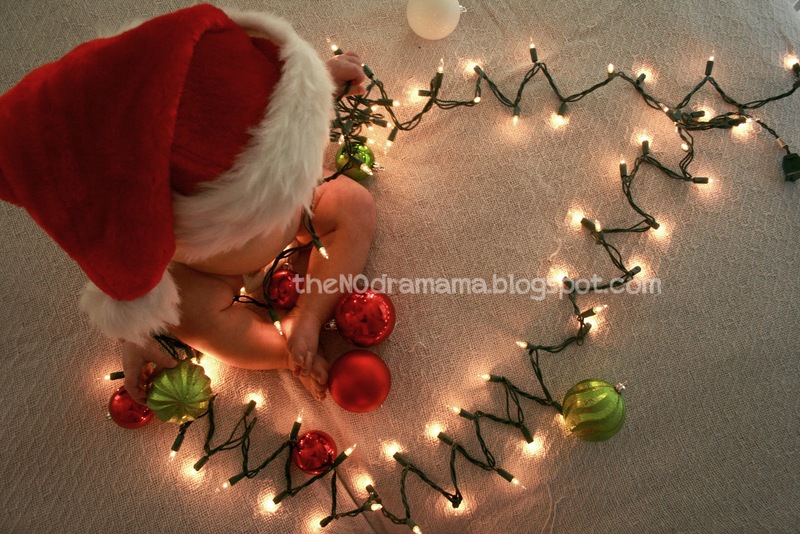 Our toys are so much more personal than a mass produced toy. We get to help make memories and that really makes it all worth while for us. 5. What inspires your designs? Our children and other children inspire most of our designs. Adults inspire us too since they are the ones buying our products. We have to think of ideas that can connect them personally to our toys in order to keep them coming back. A lot of times an idea kind of just pops up at random times: in the car, watching a movie, people watching etc. I keep a notebook with me at all times to write any ideas down as they come to mind. 6. What are your favorite designs from your shop? We do enjoy making certain toys a little more than others, but I cannot say we have an all time favorite. It sounds a little cliche’ but we do really love them all. Since we have to make each one over and over they all have to be our favorites. I can tell you that our customers really enjoy the State Shakers, camera teether, and drumstick teether. Those toys seems to be a big hit right now. 7. What can we look forward to from your shop? We do have a few things cooking here. Some new teether and rattle designs and a few new category of toys completely. I am pretty excited to see how 2016 will pan out for Sugar Maple Toys. 8. What one piece of advice would you give someone starting up their own handmade business? Just go for it! You are going to make MANY mistakes (we sure did), but you learn from them and grow. Never give up, stay passionate, stay hungry, and always keep pushing ahead. 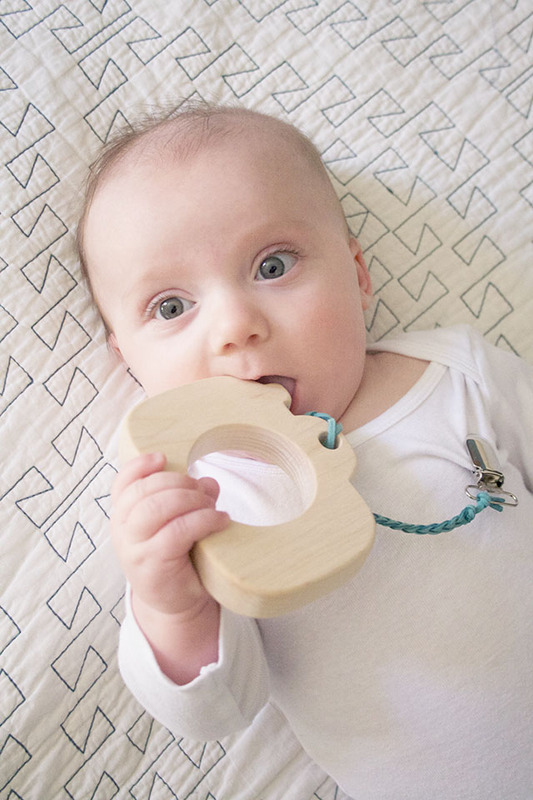 So, are you ready to get your hands, and your baby’s teeth, on your own Sugar Maple Toys teether? Of course you are! 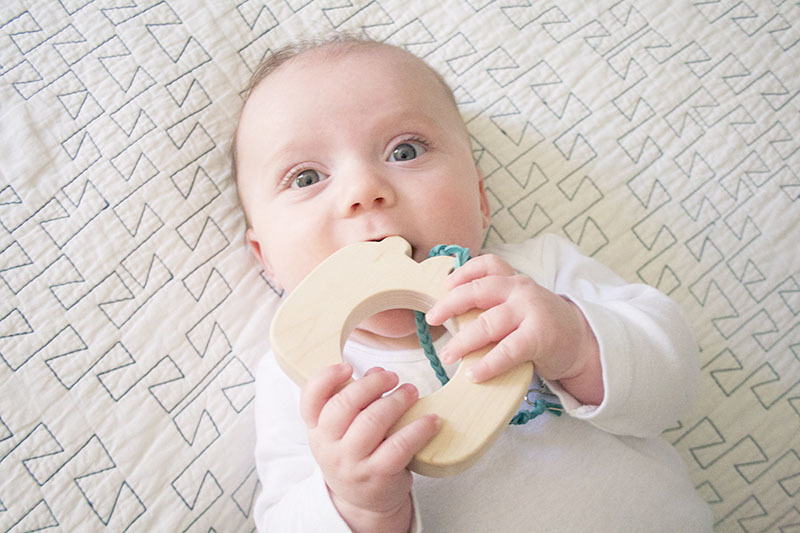 Sugar Maple toys is giving away one teether of the winner’s choice and, if you just can’t wait for that, they’re offering 10% with the code GAVANDRO! Head over to their Etsy shop to see their great line of teethers as well as rattles, blocks, and more! I feel like it’s been forever since I posted a DIY on here! Definitely having some DIY withdrawals for a bit! I saw one of these little diaper straps and thought it was a great idea but of course, instead of just buying it, I had to try to make it first. 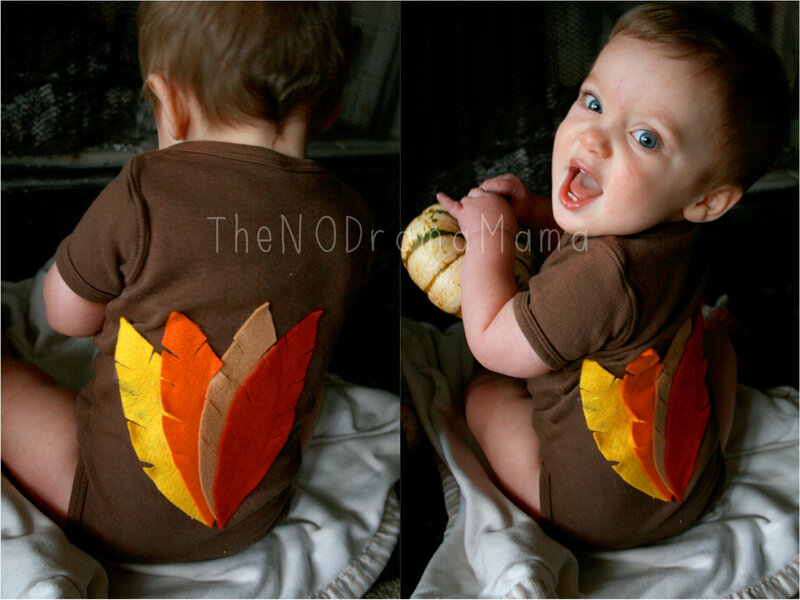 This is an ALMOST no sew project but if you prefer sewing, go for it! Cut out your fabric in a large rectangle then draw out the dimensions for the strap. I measured this with size 4 Huggies but as long as your hair tie is big enough, any size should fit. 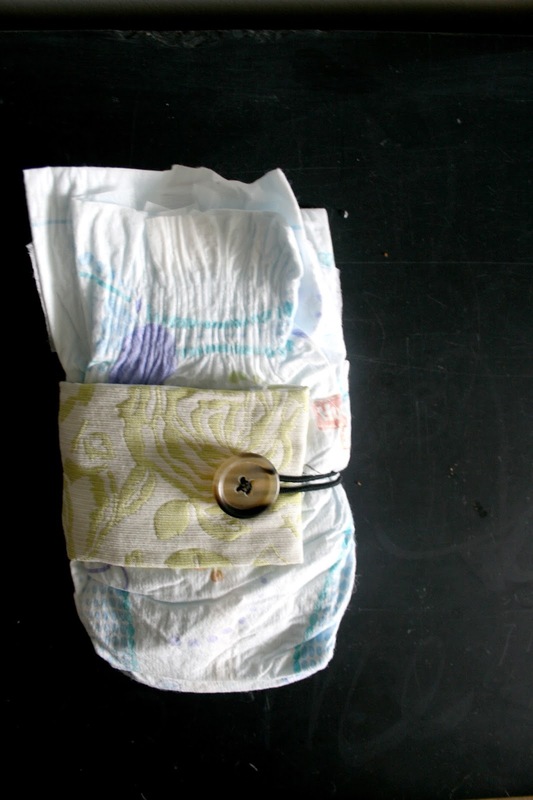 Also, if you are making this for a smaller size diaper, you can just hold more diapers with your strap. Fold and glue your “seams”. Sew the button on one end and the hair tie on the other. If the unfinished look bothers you as much as it does me, grab another piece of fabric and glue it on to cover the imperfections. Now all your diapers will stay together! 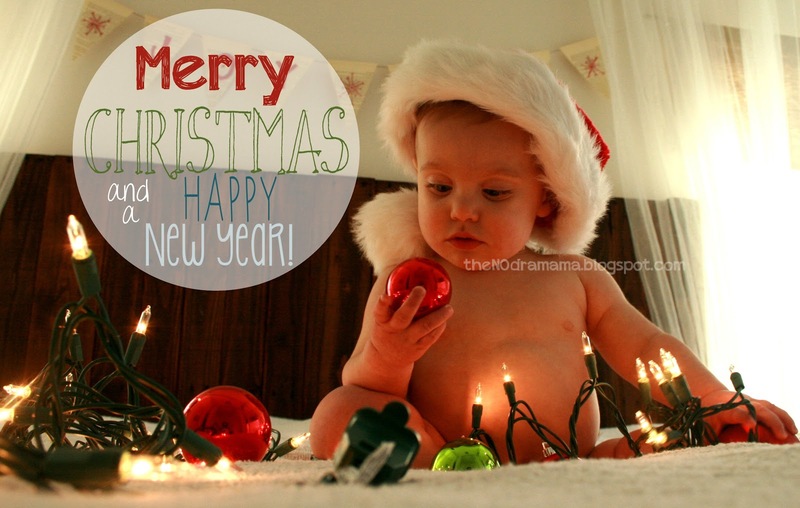 I’m sure if you have a Pinterest account you’ve seen a few pictures for Christmas card ideas. 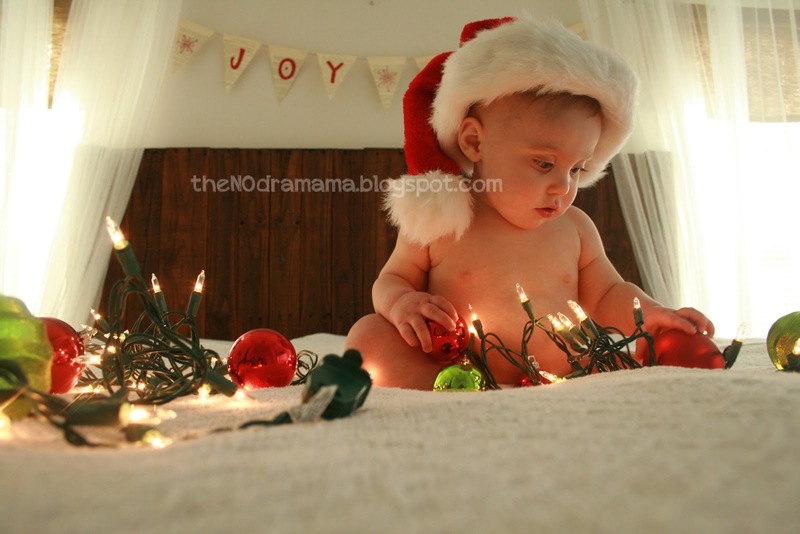 I saw one with a baby and Christmas lights and fell in love with it. I put my own twist to it and am very please with the outcome! oh yeah, and a baby! Cover the surface of the bed with the fabric/blanket. 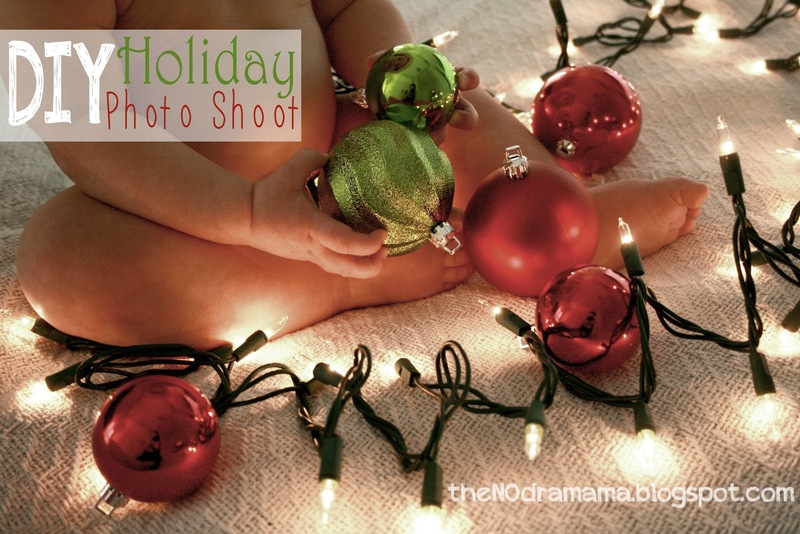 Scatter the ornaments and lights (don’t forget to plug them in!) and place baby in the middle. It helps to push everything else to the side so you don’t have to worry about side tables or lamps in your picture. However, you can always crop if need be. I even hung our Christmas banner in the background. Here’s the tutorial for it! If you have a continuous shot setting on your camera, USE IT! 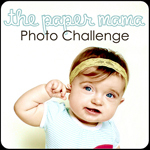 I always use it when taking pictures of my little one. It helps to capture the priceless in between moments. 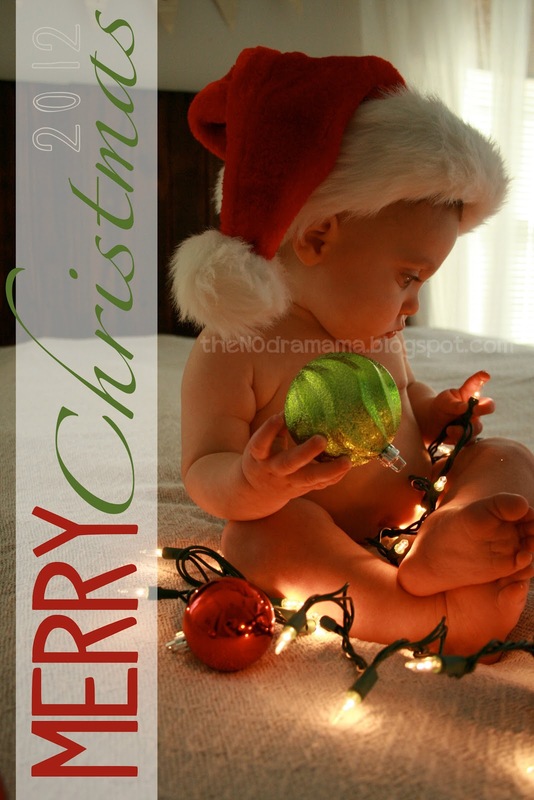 Insert them in a card from Shutterfly, Walmart, etc. or have some fun with photo editing software! Today I am thankful for our church! We are so happy to have finally found a place we love to go to worship. We were welcomed whole heartedly and are now very involved. Hubby and I are both in the praise band! It makes my heart happy to have found a place for our family to grow in God! I saw a really cute onesie for Thanksgiving on Etsy but it was $20 and that was before shipping! You can leave the feathers as is if you like or you can give them some texture. Originally I was going to use the Heat n Bond shown in the first picture. As I was ironing, I realized the felt is a very different kind of fabric and it just wasn’t going to stay as well as other fabrics. So I moved onto fabric glue and it worked like a charm! However, if you use regular fabric instead of felt (which could turn out super cute with different patterns and such) the no-sew stuff will work just fine. Don’t forget the rest of the eyeballs! Take a black Sharpie to the center of each. Today I am thankful for, as annoying as he is, our cat. He brings plenty of spice to our life. Mr. Tibbs (Tybalt) was left in a box on the doorstep of an animal hospital I worked at in college. Out of four kittens he was the only orange one, the only boy, and the only one for me! So happy to have rescued him! Really I should. If I don’t post in the morning, I won’t post at all. For some reason, my brain just works that way. Sooooo…here’s what I did today! Waited around while the air vent guy cleaned our vents. Also, listened to him tell me WAAAY too many details about his family/life. I am convinced that I have one of “those” faces. Friendly and apparently willing to listen to WHATEVER you, a stranger, have to say. And the truth is, I will! But hey, maybe he just likes to connect with people while he works. BTW: turns out he’s one of 18 children. 18! Then it was off to Gymboree. A trip to Wally World for toiletries and whatnot. Then across the street for…. 4 brand spanking new tires! Side note: We are so blessed to have family that are willing to help when and wherever possible. We have been in the market for new tires, since this particular car is our main vehicle, and my parents jumped right in. 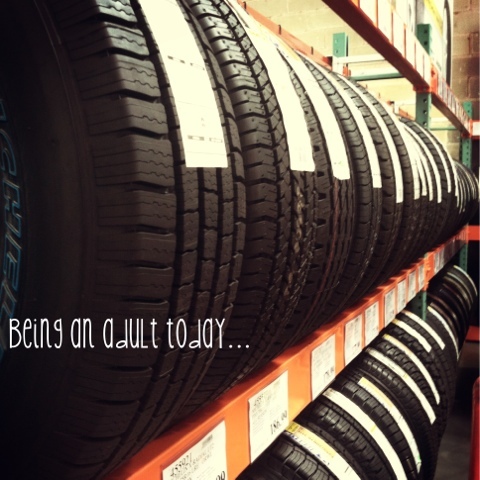 Now we can pay for the tires at a pace we feel comfortable with that no car place offers! WINNING! Love you guys! Then one more stop at target for things I forgot (of course!) and a wonderful dose of caffeine!!!! And then finally home…LM? He was such a champ! My perfect little boy was such a trooper even though he is feeling under the weather. Stuffy nose, very warm (no fever though), and a budding tooth! I just love the bejeezus outta him! AAAND…that was my Friday! How was yours? A very happy 7month birthday to LM!! !